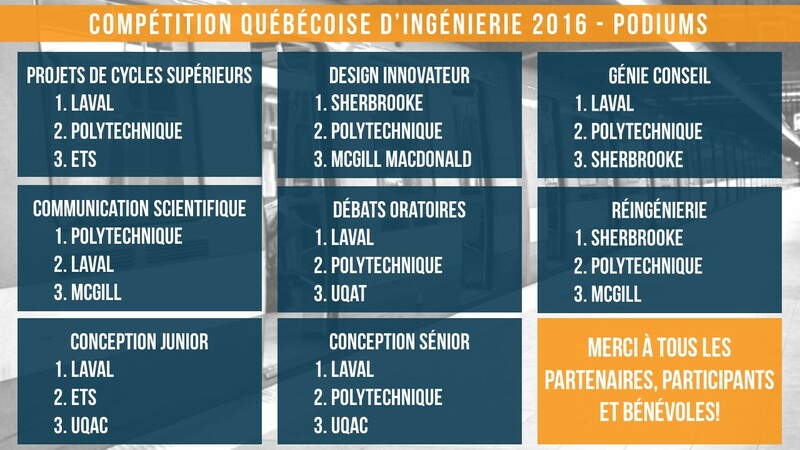 The Quebec Engineering Competition is an annual event in which nearly 240 students from every Quebec engineering schools and faculties compete. Endorsed by the Quebec Confederation for Engineering Student Outreach (QCESO), the QEC aims to make shine future engineers’ knowledge and social skills through many challenges over the course of four days. This year’s QEC theme will be “Driven by Genius”. Whether we are talking about mass transportation, cars, trains, boats or planes, transport is a crucial part of our lives as citizens but also as future engineers. All engineering programs involve transport in many different ways and many of us will work in the field of transportation, which makes it a particularly interesting theme for the competition. This theme will allow participants to stand out on a wide range of problems that are current issues for our society. Each competition will be, in one way or another, about transport. Whether in town or region, the transportation issues are growing. It’s the same for the new technologies developed by industry. 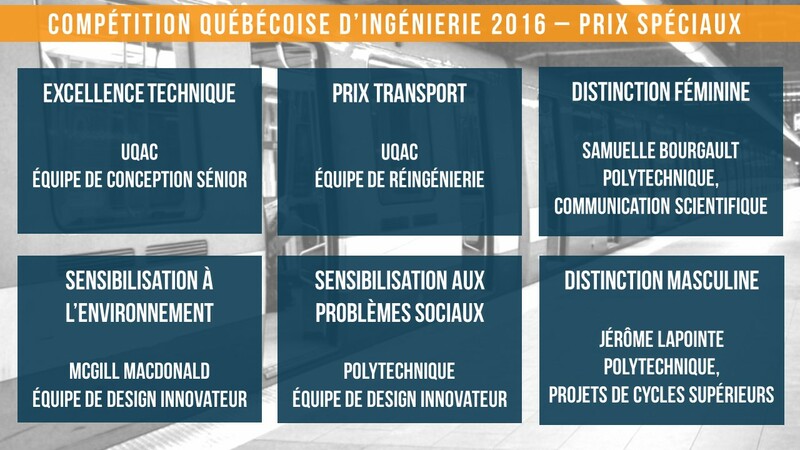 This theme will certainly enhance the skills and the gumption future Quebec engineers. Polytechnique Montreal’s reputation is well known: excellence in training that is recognized internationally. Friday’s evening will unfold in this spectacular room with view on downtown Montreal and the Old Port. Saturday’s competitions will be held in the Grande Bibliothèque, in the heart of Montreal. The public may attend the competitions. Comfort ensured in the newly renovated rooms at this hotel. Also enjoy the saltwater swimming pool, sauna, exercise room and many other commodities.